The college extends its condolences to the family and friends of Anita Quintana, who recently passed away. She began working as an adjunct faculty member in the Media Arts department in August 2006. 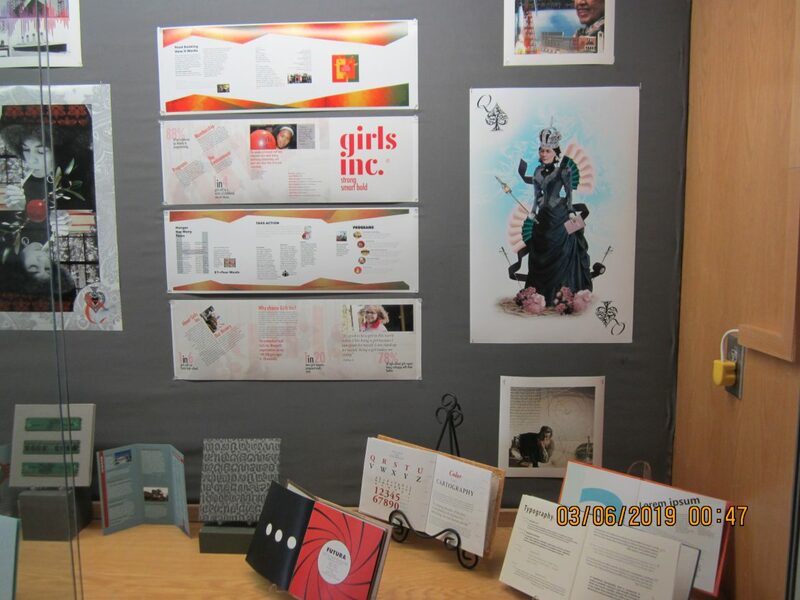 In the display case outside the Visual Arts Gallery features a tribute displaying work by students of the long-time media arts instructor. The show continues until April 12. A sympathy card will be in the Adjunct Faculty Office room 226 until March 15. 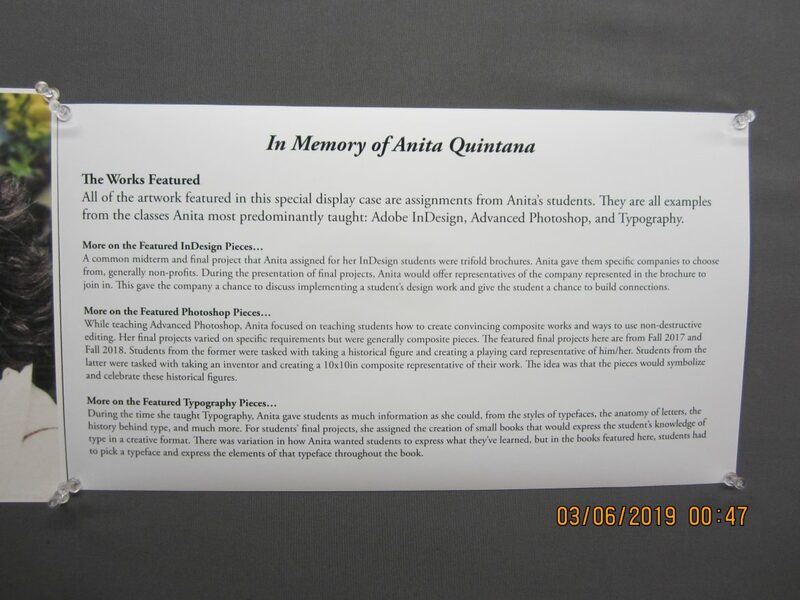 Santa Fe New Mexican Obituary and Legacy Guest Book for long-time SFCC Arts Department Adjunct Faculty Member Anita Quintana is now available. 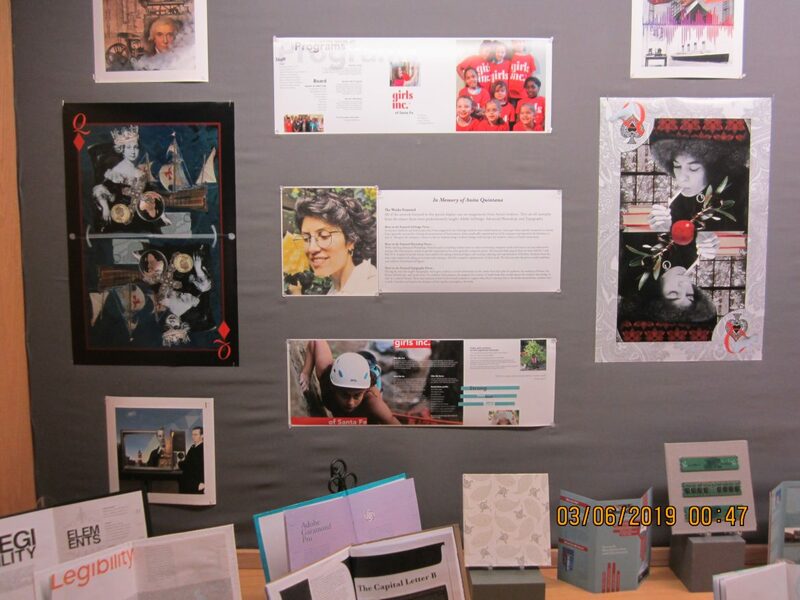 Photos: Display case outside of the Visual Arts Gallery shows work by Anita Quintana’s former students.